Today marks the 20th anniversary of the Aggression at Looney Tune Land–more commonly known as Space Jam. His legend already secure, Michael Jordan was looking forward to a lucrative career as a minor league baseball player when he was abducted by the Looney Tunes and forced into a high-stakes game of basketball. Jordan ended up leading the undersized and inexperienced Tune Squad–Bugs Bunny, the second-best player, stood at just 4 feet, including the ears–against a physically domineering Monstars team who used a more indiscriminate version of the Jordan Rules. What happened was one of the most harrowing upsets in basketball history; Jordan pulled off a game-winning half-court two-pointer to win 78-77. This is the 30 for 30 retelling of the plot of Space Jam– a ridiculous movie that tied two of 1996’s biggest pop culture brands into a 90-minute movie that ended up being a huge success. The Warner Bros. blockbuster grossed over $230 million worldwide at the box office to become the highest-grossing basketball flick of all-time, and its family-friendly appeal reinforced Michael Jordan as an aspirational figure, not a sociopath. I’d go as far as saying that, outside of Hoop Dreams’ captivating look into inner-city poverty in Chicago, Space Jam is the best basketball film of all time. What Hoop Dreams didn’t have was a high-powered soundtrack that went six times platinum. Produced by former DJ and Atlantic’s then Senior Vice President, A&R Craig Kallman, Space Jam’s soundtrack had songs from Monica, D’Angelo, Coolio, Salt-N-Pepa, and R. Kelly. Three of the songs are inseparable from ’90s nostalgia: R. Kelly’s ballad “I Believe I Can Fly,” Seal’s cover of Steve Miller’s 1977 soft rock hit “Fly Like an Eagle,” and Quad City DJ’s’ Miami bass single “Space Jam,” the film’s theme song. Most would argue that “I Believe I Can Fly”–which peaked at No. 2 on the Hot 100 and has become a middle school graduation staple–is the objective standout of the bunch. But Quad City DJ’s contribution carried its own significance. At the time of the movie’s release, Miami Bass’ energetic, trunk-rattling jams were attached to national conflict–2 Live Crew had gone to trial after a Federal judge declared their As Nasty As They Wanna Be “legally obscene.” The crew won a appeal later that year to become legally as nasty as they want to be, and their album went platinum as a result (a first for a Southern hip-hop act). In the years that followed, acts like Ghost Town DJ’s (“My Boo”) and Quad City’s C.C. Lemonhead and Jay Ski’s hit production would help spread the word of Miami Bass. 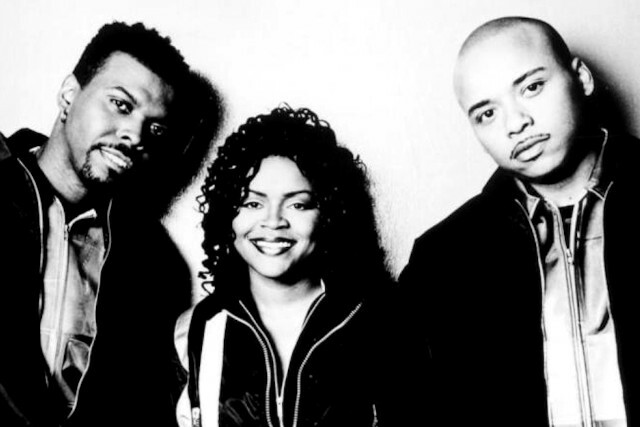 By the time Space Jam came out, the Floridian group already had hits; they crafted 1996’s “C’Mon ‘N Ride It (The Train)” and their production duo C.C. Lemonhead and Jay Ski produced 95 South’s “Whoot, There It Is” and 69 Boyz’s “Tootsee Roll.” Space Jam’s title track was the track that proved once and for all that the regional sound had national appeal. For Space Jam’s 20th anniversary, Quad City’s Jay Ski, Lemonhead, and Kallman, spoke to SPIN about how the famed theme song came to be. Read the conversations, condensed and edited for clarity below. C.C. Lemonhead: We met through Rottweiler “Mike Mike” of the 69 Boyz. I was going to high school with Mike, and Jay had already graduated the year before me. Mike and I started a little group together. He pulled Jay in and that’s how I met Jay. I think opposites attract. I was more introverted and more musical in the studio, the behind the scenes kind of guy. Jay was very sociable, conceptual, and in tune with what was going on in the club and general. So I think we just meshed well in the sense that we provided a bed for the concepts to come over and bend in the form of the tracks. Jay Ski: We grew up with [bass music] and when we decided to give it a shot. What we wanted to do was give it a more commercial sound because the bass records that we heard were more local in their sound. They were good records, but you know we just felt they were more local, and we wanted to do records on a national level. We wanted to make it more versatile than just talking about the same thing that a lot of the groups were talking about. It was Uncle Luke and 2 Live Crew who had started getting some serious national exposure with all the stuff that they were doing. We just came behind that. I wouldn’t go as far as saying we were right after Luke, but we were right in that area. Craig Kallman, then-Senior Vice President, A&R: I think there were a lot of interesting records coming out at the time. Spending time down in Florida and being a fan of all of those early electro records—as well as the Afrika Bambaataa and the Soul Sonic Force early seminal records, and the Egyptian Lover records—there were a lot of interesting records coming out of Florida for awhile. C.C. Lemonhead: Luke probably played the biggest and single part of that whole transition into mainstream with the controversy around “Me So Horny.” That sort of put a spotlight on it, but I think it also gave it a negative label too. Plus the West Coast movement influenced me to try to take the South and what we did like the West Coast and commercialize it. Jay Ski: We produced a few records and produced “Whoot, There It Is” and “Tootsie Roll.” Vocally, I was in all of those records for the other groups, and we came up with the idea, we said, “Hey, lets just do a group on our own.” Instead of producing these records for other people, let’s do a record, you know, seeing that I was vocally on all the records anyway. That’s when we decided to put [singer JeLana LaFleur] in the group. Lemonhead: We had just finished the deal [with Atlantic] but I didn’t have a singer and ’Lana came over. I think she might have been a dancer with 24K, but she came over to my studio as a background singer with some other girls and while she was in there she was like, “If you need a singer, give me a call.” She just happened to say that right at the time when I did need a singer. We called her back the next day and asked if she could sing on this song called “The Train” and she said “I’ll try.” I had to work with her a bit, but she did it and at the end of the day she became a female member of the Quad City DJ’s. Jay Ski: If you listen to “Tootsie Roll,” at the beginning of that song, I actually talk and I say “Backed-up by the Quad City DJ’s,” so we had been putting the name out there. We wasn’t officially a group, but we’d been talking and putting the name out there since ’93 actually. We officially made our first record, which was “The Train,” in ’96. We found a major label deal with Atlantic back in ‘95 I think it was. And “The Train” was obviously the first record from that deal. That went No. 3 on the pop charts and everything. I remember talking to Kallman about filming Michael Jordan and Bugs Bunny, and they were doing this movie called Space Jam, and he wanted us to do a song for the movie. Kallman: The Miami bass movement was exploding and it was just an exciting deal. There were great records just evolving and Jay Ski and company were just making great music. “C’mon N’ Ride It (The Train)” was the one, when I heard that, was the on a mission — like “Oh my god, I’ve got to sign these guys.” It turned out to be an explosive hit, and basically at the height of that song, the Space Jam opportunity came up and I thought that they would be the perfect group to contribute a song for the film. Kallman: We had met with Warner Bros. pictures and they had this property, and it was kind of hard not to jump at the chance of Looney Tunes, Bugs Bunny, and Michael Jordan. They wanted me to be an important driver, which was a really exciting thing.I called Quad City DJ’s up because I was having such success with “The Train,” I wanted to keep their momentum going as well.I remember the conversation where [Warner Bros.] just wanted a high octane, high-energy opening that had the word Space Jam in the title, so that was something that we really worked on. When they put it to picture, the film editor loved it, the studio loved it, and the director loved it. So it stuck. Jay Ski: I remember talking to Craig Kallman about filming Michael Jordan and Bugs Bunny, and they were doing this movie called Space Jam, and he wanted us to do a song for the movie. He didn’t tell us what to do. He just said he wanted a song from us for the movie. I remember sitting in the studio and thinking, we came up with the track and I said, I called Craig and I said, “Let me ask you a question, Craig. Has anybody done a song called Space Jam?” He said, “No.” And I said, “Well, we are doing that.” He was like, “Cool,” and that’s when we went in and did the record. It’s not like they asked us to do it.Craig sent me a VHS copy of some outtakes from the movie. It was actually Michael Jordan doing some dialogue but it was these characters in green costumes [placeholding for the cartoons]. It didn’t really give me a complete idea of what the movie was going to be, but it gave me enough idea of what kind of stuff he was talking about and that helped us as we start developing the song for the movie. Lemonhead: Most of it was me by myself working on the track, which I probably spent two weeks on give or take. Vocals we spent like three hours tops. [Jay Ski’s] yelling so much we pretty much had to get it on the first or second take before he’s too hoarse. Then we’d come back and clean it up later. But I’d say three hours tops, because he knows what he wants when he gets in there. We were trying to figure out what speed we wanted to go with, and experimented with a couple of backtracks. We tried beats with a slower tempo, and one with a lot more rock n’ roll feel—there’s a song that they played at the basketball games [Gary Glitter’s “Rock and Roll”]. We did experiment because we were on a bigger playing field now—I mean, a Michael Jordan movie—but we just wanted to explore every option. The song actually turned out way better than I expected at the beginning. Jay Ski: I don’t think any film had a bass record, so I think we did a lot for the sound in establishing the Miami bass sound. That definitely gave it some serious credibility. That’s why now when I hear bass type of records on commercials, I think all of that was a lot of doors that got opened by not only us, but by a lot of the early pioneers of bass. Now you can hear a “Whoot, There It Is” in a Lay’s potato chip commercial or a Huggies commercial.Luke and I talk all the time and you know he’s even said, “Man, what you guys did for the sound was awesome. You introduced it to people that otherwise probably wouldn’t have heard it.” We gave it a huge appeal. Lemonhead: I have a confession: I never saw it in the theaters. It’s the one movie that we [contributed to] that I didn’t see. I had a lot going on at the time, but I might go this time.